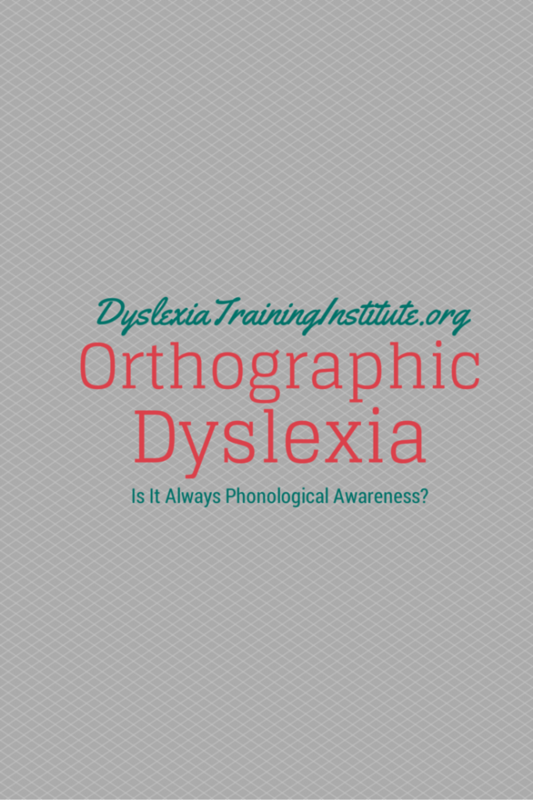 Orthographic Dyslexia: Is It Always Phonological Awareness? There is orthographic dyslexia. This occurs when someone has average or above average phonemic awareness, but they can’t translate that ability to the written word. I always look at the writing first…it tells me everything I need to know about what the child understands about the written language. Meet Javier. He’s an adorable, engaging, very bright (gifted) and extremely motivated young man who is ten years old. He’s attended school consistently, had supportive and attentive parents, stable home life, and no major illnesses or head injuries. Javier has had an IEP since the third grade for unexpected reading difficulties. Spelling difficulties were evident but not included in the IEP. He remained on that IEP for two years and made no progress. One thing that perplexed the team was his average to above average performance on phonemic awareness tasks. In fact, he scored in the above average range in phonological awareness and phonological memory on the CTOPP-2, but he still struggled to read, and he was spelling entirely phonetically. Interestingly, he was able to spell perfectly phonetic words like brandish, but not the word who. So, could it still be dyslexia if his phonological skills are intact? Yes, yes, yes! This type of reading difficulty is what I am classifying as orthographic dyslexia. Now, I may use the term a little differently than others. According to the Oxford dictionary, orthography is the conventional spelling system of a language. Understanding English orthography requires that students understand how words are structured which does require a basis in phonology, but if the student is unable to translate their adequate phonological awareness skills to the written word, then it stands to reason that they have an orthographic processing deficit, and the intervention should focus on how the written language is structured. This is orthographic dyslexia. Uta Frith proposed the orthographic stage as the stage during which a reader has adequate phonological skills and begins to use the words stored in their visual word form area to read previously seen words rapidly. I believe dyslexia can occur when a student fails to make the transition from the phonological stage to the orthographic stage. Their difficulty is understanding the language, not the inability to visually memorize words. In this situation a student should be focusing on the underlying structure of the language and all the ‘whys’ of spelling which will then transfer to reading. If they are not, it could be because they lack an understanding of the language, not phonological awareness. These readers need to focus explicitly on the structure of written language because if they can spell a word, they can read it, while the converse is often not true. Let’s look at an example. Let’s say Javier spells the word every as evry. We’ve all seen that before, right? This is a great example, because it shows quite perfectly that Javier has great phonological awareness. He has correctly identified that we actually pronounce that word /ĕvrē/, and no one says ev – er – y. So, we know he hears the different phonemes, and he has accurately represented all the phonemes; however, he spelled it wrong. He spelled it incorrectly for two reasons. First, he is under the mistaken impression that words are a perfect representation of spoken phonemes. He is also unaware that words are spelled based on their meaning first and their phonology second. All we have to do with Javier is have a conversation about what every means (and stop over-enunciating – that doesn’t help him understand the language). During this conversation he will realize that the base of every is ever and when he adds a suffix <-y> he will get the word every. Then phonology kicks in, he can spell ever based on the grapheme/phoneme correspondences and then add the suffix <-y>, while also identifying what phoneme is represented by the <-y> at the end of a multi-syllabic word. No, Javier will not have to do this with every word in the English language, but each word he does investigate will help him deepen his understanding of orthography. When you add word sums and matrices to the lesson, the multi-sensory techniques play their part as well. This entry was posted in Orthography and tagged dyslexia, orthography on November 18, 2014 by Dr. Kelli Sandman-Hurley. WOW! This is why my husband has some of the troubles he has. And probably one of our granddaughters. When we started home schooling in 1984 I found that our son, then in kinder, could not read by sounding out. If I spelled the word to him he knew what it was though. By second grade he was doing much better. He likes to read and uses it in his work a lot. Our daughter was and is a natural at pulling words apart and knowing why they are spelled as they are, likes to read the dictionary to this day! Thanks for the information. Great, easy to understand article about the importance of orthographic awareness. I love that you suggest tackling these problems by drawing on morphology. Brilliant! I was trained through Dyslexia Action and in the weekly programme we had to include sight word teaching? There is a reason for every spelling. We should not be teaching kids that words are crazy or nonsensical. We should be teaching them why words are spelled the way they are. For example, there is a g in the word sign to link it to signal, signature, etc. Is there a resource I can use that explains why sight words are spelled the way they are? What are the best reading programs schools can use for teaching all students? This includes students who may have reading disorders as well as those who don’t. This is a big part of my child’s struggle. Great and informative article. PREACH IT, SISTA! Please get with Dr. Louisa A. Moats. She’s been preaching this as well. Unfortunately, ours (and I’m sure most Districts) are clenching tooth and nail to the “phonological” word in the IDA’s and Scottish Rite’s definition (and *completely* ignoring the word “typically” that precedes and modifies it in the same sentence) I’m sure in order to limit drain on their already budget-strapped (and poor excuses for) Dyslexia id and servicing resources (not that they don’t have $millions for sports programs and tens of $k’s for prom decorations, just that the majority of them and, more importanly, the residents of their tax base and therefore, the consistentuency of their Board members don’t the #’s (20%) of people who have Dyslexia, the impacts to *all* of society when they don’t reach their potential by being *properly* and *promptly* id’ed and *properly* served and the poor quantitative and qualitative state of Districts’ id and servicing resources). Wow, this is a fantastic article. 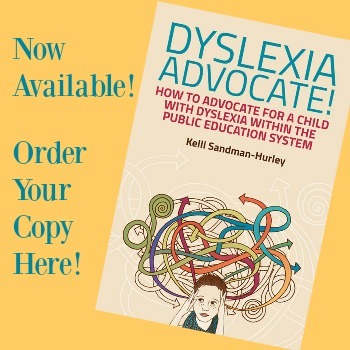 My daughter was diagnosed with severe dyslexia at age 6, having deficits with phonological and orthographic processing, as well as rapid naming and working memory. We were able to remediate and stabilize her decoding skills through a Lindamood Bell type of training. She also received some training in orghography, which stabilized her ability to recognize letters as characters rather than little pictures. She never had a challenge with comprehension and so with time and a lot of reading aloud, she became a strong and prolific reader. Today she is in 6th grade and she is a straight A+ student, however she still has incredibly poor spelling and writing skills, and a seeming inability to memorize math facts. I had pretty much given up on trying to help her stabilize those skills, having been told so many times by so many people that those were just things that must be accommodated. She does still have an IEP in school, but it’s mostly to give her some support when her anxiety kicks in and especially extra support with certain types of writing assignments. But when i read this article, the description exactly fits my daughter. She did have a huge phonologial processing issue in the past… but she has largely been able to overcome that. She never adds extra sounds to words anymore, and for the most part, she spells phonetically, only occasionally omitting consonant sounds from words as she tires with lengthy homework assignments. But she is not making the natural leap from phonetic spelling to understanding the root words. She is good at memorizing stories though — anything that can be taught in a context is stuff she easily remembers. I think learning the latin origins of words could be life-changing for her. Thank you for the article! What kind of training in orthography did your daughter receive and which kinda mood bell program, seeing stars? What about the student who can’t spell the root words, for example, ever? Or if they can’t spell simple decodable words, then what? Don’t you have to teach vowel sounds to build a base. If a child doesn’t understand how to spell the word quick because they don’t know the short i sound, shouldn’t that be taught before they can eventually spell quick or quickly? Yes! We are not, in any way, saying that teaching decoding and the first few syllable types should be thrown out, we are saying to have the discussion about meaning in conjunction with the decoding. Thank you for explaining that, I have been struggling with what to do with early learners. I am glad my work thus far with my clients has not been damaging! This is a great article and explains my son perfectly. He is now in 8th grade and heading toward high school. He is highly intelligent but is going to start taking the standardized tests (especially all of the ACT tests). How can I help him. Please help me find more information about how to help this great kid. Our second grader was just diagnosed as orthographic and phonographic dyslexic. Your article is spot on. Her school district has yet to give her an IEP – three months after her diagnosis. Her awesome teachers pointed out there was an issue but suggested we have her tested or what it might be – we have since been told they are not allowed to do this. We took it upon ourselves to have her tested by a specialist in Nov 2014. She is now receiving treatment at a private business everyday after school paid for by us. This place, Applied Learning, is teaching her exactly what you discussed in the article – root words, grammar, etc. They estimate 100 hours of work with her. I am keeping her there at least until the start of 3rd grade. I don’t know if this is something that is “fixed” or if she is just receiving tools to deal with it. I had to laugh when you mentioned to stop sounding out the words – it doesn’t help. I do that with our daughter when helping with her homework – she hates it! Glares at me for a good minute or so! I will now refrain from doing that and try to teach her the root word. She recently had a test of the world map – try teaching an orthographic deficient 8 year old how to spell Antarctica. She did miss it ultimately, even though she can spell it out loud to us – even today. That is ok – she got Europe and Pacific right. The school did accommodate her under Rule 504 and let her sit in a pod and sound out loud – but, again that is really not the root of the problem. If your daughter has phonological AND orthographic dyslexia you do still need to teach her to sound out words (or what sounds letters make and the rules for this). I recommend a program that uses Orton-Gillingham methodologies. I have been teaching students with dyslexia for over 20 years and Orton-Gillingham programs like Wilson and Linda Mood Bell work the best. Wilson also offers a program called Just Words that (after the phonological issues are dealt with) teaches the root words and meanings. It would be perfect for your daughter to work through the Wilson Reading program then onto Just Words. Pingback: Materials Review: Test of Orthographic Competence | Hey! Teach! Blog! Thank you Kelli. I am printing this document and taking it to school today. My son’s teacher at our otherwise wonderful new school says that she does not believe in my son having dyslexia (despite overwhelming test reports from the Drs. Eide) because his reading is so fluent….. Thanks again. I am a reading specialist who struggles with how best to support students with orthographic processing deficits. In a public school environment, and possibly in other instructional environments, a direct, explicit method of instruction has the greatest impact on improving student literacy skills. However, I have not ‘found’ a program/scope and sequence to use for targeted instruction to remediate students with orthographic processing. When I complete a QPS with students who have orthographic processing issues, they score quite well….and they should because they are decent readers. However, when I administer a PSI they fall apart. Is there a program, besides Wilson, Fundations, OG, Just Words, and their core literacy instruction that you would recommend to provide targeted instruction for orthographic processing deficiencies? You may want to look at the Lindamood Bell program “visualize verbalize”. Hi, I agree with your article. I am a specialist literacy teacher in the UK, and have recently completed a Masters level certificate in Dyslexia. In the UK, the current ‘first choice’ method of teaching reading and spelling is by synthetic phonics, which DOES NOT always work! I battle against the ‘system’ every day with my pupils, who need other methods. A programme we used in my training, but which I don’t get to use in school (I do sneak bits in!!) is the Hickey Multisensory Language Programme, and also the Kelly and Phillips programme called ‘Teaching Literacy to Learners with Dyslexia’. Both of these concentrate, as you say , on teaching the basics of the roots of language and grammar, as they go through, with tons of emphasis on metacognition and interactive, multisensory methods. I firmly believe this approach is the key to successful literacy learning for those pupils who are struggling, whatever the label or diagnosis. I believe RAVE-O (Retrieval, Automaticity, Vocabulary, Engagement with Language, Orthography) is one program that has a high focus on teaching words via orthography. 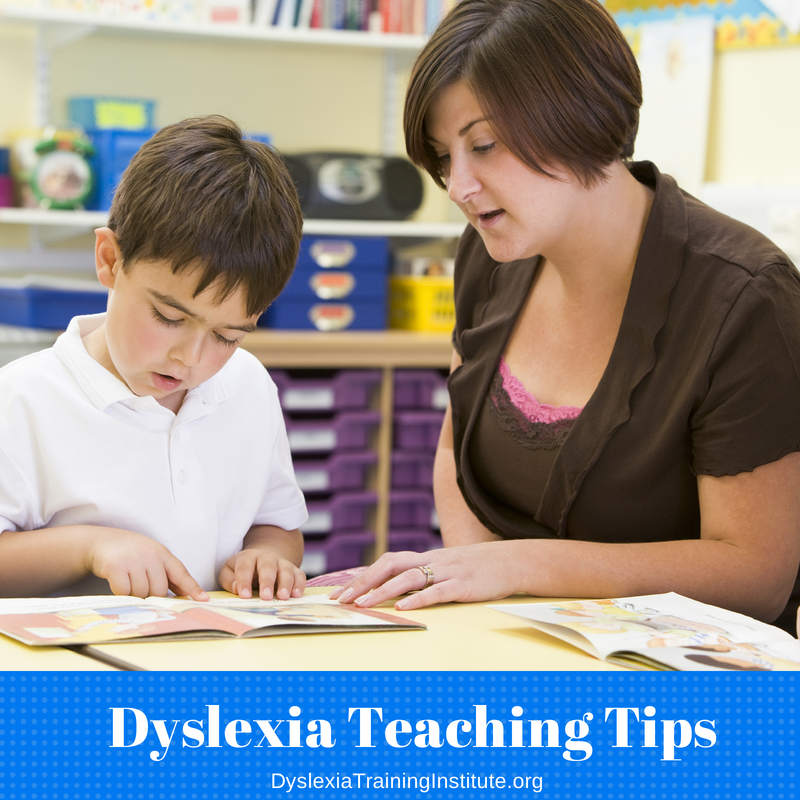 Dyslexia Training Institute also offers a course on Structured Word Inquiry. Teachers should be taught these different models of teaching language since the problem is so widespread. I had such a hard time explaining this to my son’s teachers..They just wanted him to spell words, not understand them. It would have never worked.I had to get outside help. My daughter is both verbally gifted and dyslexic. She had straight A’s in reading but would get stuck on a 4- letter word that she couldn’t guess from context. We couldn’t get her an IEP. and we are now homeschooling. She’s been diagnosed by our local dyslexia institute. She has trouble with phonological processing and with visual sequencing and also with rapid naming. We’ve been using the Wilson Program, but it’s become clear that it won’t be enough. We’ve been looking into Structured Word Inquiry, and it seems to hold the key. There seems to be no packaged curricula, though. Any advice on how to implement an orthographic remediation for a 7 yo? Thank you for this article. My daughter was just tested through the schools, and while professional friends keep suggesting to persue dyslexia diagnosis for her, I was just not understanding how she could have dyslexia with CTOPP-2 Phonological Awareness Composite score of 130! You cleared that up for me, thank you! So this may be the explanation for several kids I’ve screened who do avg and above on the CTOPP but are still obviously struggling with written expression and spelling. How would this relate to dysgraphia? And how about Barton, which progresses in the structured word analysis in higher levels – is this appropriate then for both phonological and orthographic dyslexic students? I am working with a child who was just diagnosed with orthographic dyslexia. What would you use for a targeted skill for 8 weeks to show improvements or RTI? Marianne W., can you please tell me what you ended up using to monitor RTI? Also, does anyone else who posted have any follow up/advice? This is an interesting and helpful article. I have a son who is severely dyslexic and has dysgraphia. I have found that he enjoys cursive writing much more than print. And while you can’t always read his print, he cursive is just about perfect! When working with our Dyslexic son at home is there a curriculum you would recommend for this? What a wonderful article it perfectly describes me. 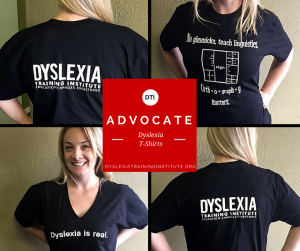 I am a 27-year old that never got an official dyslexia diagnosis until I was a freshman in college because every time I went to take the test to get accommodations I would pass the phonics and comprehension part and fail the writing, spelling, and speed of my reading. I would say that the best thing my parents did to help me feel good about myself was found someone successful that had dyslexia. It finally made me feel like I wasn’t alone and I could do this.